Paris: Next Gen poster boy Alexander Zverev's season-ending Tour Finals triumph served up a glimpse into the future of men's tennis although 2018 remained a year dominated once more by the usual, yet aging, suspects as a revitalised Novak Djokovic returned to the peak of his powers. 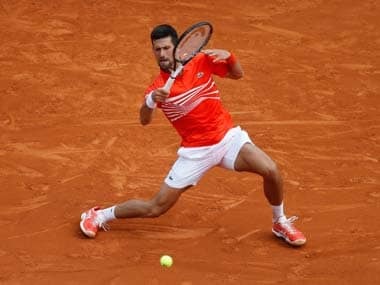 The Serb tumbled out of the top 10 for the first time in a decade and was ranked as lowly as 22nd in June, slumping to a string of uncharacteristic defeats — including an embarrassing loss to Italian journeyman Marco Cecchinato at the French Open — following elbow surgery to fix a lingering injury. Over the next few months though Djokovic surged back to his all-conquering best, sweeping to Wimbledon and US Open crowns and completing a historic Masters sweep with an elusive victory in Cincinnati. "There was always part of me that believed I could make it back and I never thought it was impossible," Djokovic said of his climb back to world number one, adding, "it turned to out to be a perfect five months of the year, with two Grand Slam titles." Roger Federer continued to defy his advancing years as he defended his Australian Open title and then eclipsed Andre Agassi as the oldest top-ranked player in ATP history, at the age of 36. He played in just nine tournaments, his fewest since 2002, yet still won five titles and compiled a commanding 45-4 record. Serena Williams returned to the court after her 14-month maternity leave, battling back from life-saving surgery, but twice fell agonisingly short of landing a record-equalling 24th Grand Slam crown. She required a series of operations to free her from the risk of blood clots in the wake of giving birth to her daughter in September 2017, a scare that prompted her to sport an eye-catching black catsuit at Roland Garros. 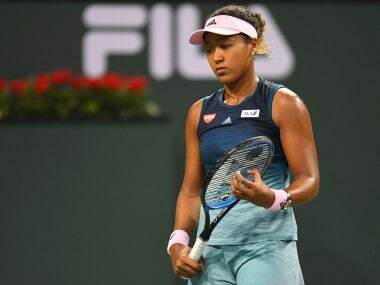 She finished runner-up at both Wimbledon and the US Open, but it was the nature of her defeat in New York that will stick in the memory after a meltdown in the final against Japan's Naomi Osaka. Williams erupted after a code violation for receiving coaching from her box, and subsequently called chair umpire Carlos Ramos a "liar and a thief" after she incurred a one-point penalty for racquet abuse. The American later described the decision to then hit her with a game penalty following her tear-filled tirade as "sexist". An astonishingly poised Osaka held her nerve to seal victory and become the first Japanese woman to win a Grand Slam singles title, but the 20-year-old was reduced to tears when a pro-Williams crowd booed the trophy ceremony announcers. Fortunately, Williams gracefully intervened and called for them to show the young champion respect. In a season of firsts, Simona Halep eased the pain of three previous major finals defeats, to follow in the footsteps of her manager Virginia Ruzici, 40 years on, by claiming the French Open championship. 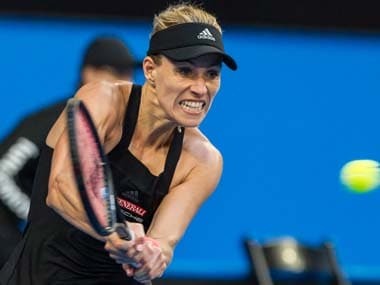 Caroline Wozniacki's patience yielded her maiden Grand Slam triumph too, the Dane taking the Australian Open title to briefly return to world number one. However, she later revealed her battle with rheumatoid arthritis, an autoimmune disease which causes swelling of the joints and fatigue, following her diagnosis ahead of the US Open. Angelique Kerber completed the third leg of a career Grand Slam by battering past Williams to become the first German woman to win Wimbledon since Steffi Graf in 1996. The season also marked the end of the 118-year Davis Cup in its traditional format, with a revamped version of the competition next November bringing together 18 nations in one place for a week. Kevin Anderson's 26-24 defeat of John Isner in the fifth set of this year's Wimbledon semi-finals prompted another rethink, leading the All England Club to introduce a tie-break to settle matches that reach 12-all in the decider. "It is bucking tradition but I think a lot of people believe that is not a bad thing," Isner said in the wake of the rule change. Similarly, a 10-point tie-break will be used in the final set at the Australian Open, where Federer will eye his 100th career title.